Isn’t it great? Imagine! In this Jubilee Year of Mercy, we have been given an extra day to receive the Mercy of the Lord–in receiving His Precious Body and Blood, in receiving His healing forgiveness in the Sacrament of Reconciliation, in performing spiritual and corporal works of mercy, and in countless other ways! Yes! Inasmuch as 2016 is a leap year, we have 366 days–one extra day–to immerse ourselves in God’s Mercy. We thank the Lord for His amazing timing! Let’s not miss the chance! Let’s plan–purposely and purposefully–to spend—no, better yet, to invest–that day. In terms of the calendar, the extra day is today, Monday, February 29th, but we can choose any day this year to be our extra Mercy day. We might choose a day before November 20th when the Jubilee Year ends. Or we might choose a day after then in order to give thanks for the Jubilee Year just ended. As we choose our extra Mercy day, we might consider personally significant spiritual milestone days, such as our Baptism, First Holy Communion, First Confession, Confirmation, Marriage, Ordination, or the dates on which a parent or child was called home to the Lord. Or we might consider Liturgical Feast Days that are especially close to our heart. As we consider which day to spend (really, to invest), and how to spend (really, to invest) it, please allow me to share one experience. 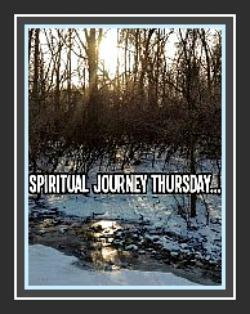 A number of years ago, after my “conversion experience” (as I call my spiritual reawakening following a head-on crash with a pick-up truck), I wanted and “needed” to spend a quiet day with the Lord. I choose the Feast of the Sacred Heart of Jesus as the day to “treat” the Lord with my spending an isolated “vacation day” from work to spend totally with Him. Spiritual book, pen and notebook, and Rosary in hand, I headed to a local monastery for Mass and to spend the day. What a humbling, eye-opening experience that day with the Lord turned out to be! Young expectant mothers, mothers of all ages pushing strollers or carrying infants, well-dressed business men and women, elderly men and women struggling with physical challenges–the steady stream of those who came to worship the Lord during the day was simultaneously humbling and edifying. …I was speechless; as I had gone about my work life each day, I had no idea what was happening in that monastery. “Late have I loved You.” To borrow the words of St. Augustine in his masterpiece work Confessions, as I watched so many “ordinary” men and women (I stopped counting at two hundred) who had gone out of their way to worship the Lord, I felt such regret for years of closeness to the Lord missed, not because of the Lord’s choice, but because of mine. I regretted never having taken my children–born or unborn–to visit the Lord, to be blessed by Him outside Sunday or Holy Day Mass. Never had I spent a lunch hour in His Presence. Never had I spent quiet time in His Eucharistic Presence without being obligated to do so. And so, in truth, with the Lord, we always have a chance to change our ways; to begin again. In that light, that vacation day, I wasn’t so much gifting my time to the Lord as, given that I made myself available to the Lord, He was gifting Himself to me. Rather than “spending” time with the Lord, I was investing my time in His Mercy. And what an amazing investment that was…It still is bearing fruit! Truthfully, that day was the best vacation day I ever chose to spend anywhere with anyone! That day spent quietly being edified by seeing how much the Lord is loved made me want to love Him more. Like being the child taken to work on “Bring your son or daughter to work day,” I got to see Him “at work–being Himself” in a whole different light. I got to see how much He is trusted and how available He is to brothers and sisters of all different ages and circumstances who seek Him. Inasmuch as His Cross has a vertical beam–reaching up to God in worship, as well as a horizontal beam–reaching out to our brothers and sisters, we might choose to spend the extra Mercy day focusing on either or both beams. Rather than spending the day in the Lord’s Eucharistic Presence, as I had chosen to do on His Feast Day, we might choose to perform spiritual and corporal works of mercy. In that regard, we might even feel called to invest our extra day volunteering at a shelter or food pantry, spending more quality time with our family, visiting a sick person or even those in a prison facility, or in other ways ministering to those who are lonely or suffering. Whatever we choose to do, let us make a decision now, ahead of time, to make a commitment how to purposely use and not to squander the extra day we are receiving, most Providentially, during this Jubilee Year of Mercy. And, please, if you have ideas, experiences, or intentions about how best to invest our extra Mercy day, please let us know so that we might follow your lead. Thank you! The Lord is amazing and awesome in His inspirations to His beloved children! Let us help each other benefit from them. Whatever we do, let us rejoice in the Lord’s Mercy and spread that joy, not only on this year’s extra day, but on every day to everyone we meet!